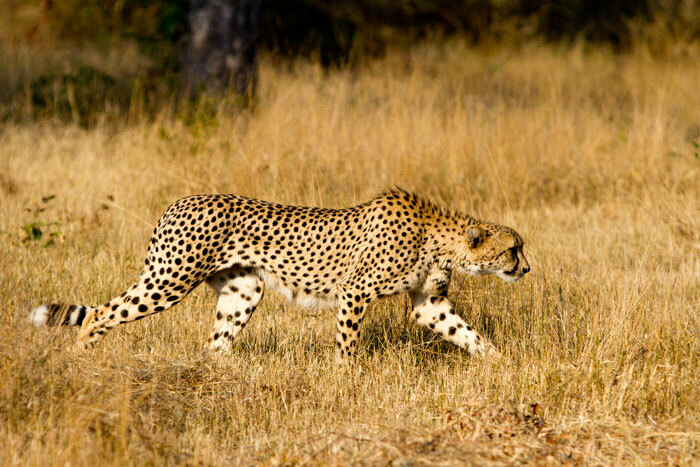 It’s not often that we get to witness a cheetah in full sprint! To watch this majestic animal at full speed in the short winter grass is one of the most sensational experiences in the bushveld. 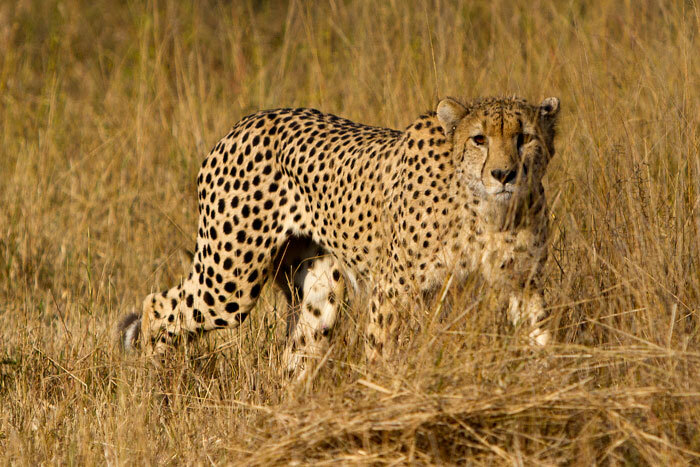 A cheetah in full stride brings on such an adrenalin rush that it inspired me to write a piece on this behaviour some weeks ago. This young male, possibly displaced by a larger mature male, wandered through Londolozi yesterday. Due to the fact that this species is outcompeted, in this area, by the larger cats (lion and leopard) there is always a buzz around Londolozi when one is spotted! This young male moved through the area with a little uncertainty. It is possible that he has been displaced from another area by a larger mature male and is looking for a spot for his own. 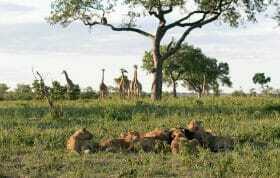 He was watching a herd of wildebeest grazing when the sudden movements of a steenbok caught his eye. This was an animal of perfect size for the spotted cat. With electric acceleration he was out of the blocks. Guests gasped in delight as they got to see the fastest land mammal on earth pull out all the stops and burst into gear. On this occasion the steenbok had too large a head-start to allow the cheetah time to catch up. Although unsuccessful on this attempt, one of our guests, Jack Kudale, managed to capture the sprint on film. Cheetah stalking in the short brown winter grass. You can see how every muscle in this animal is built for speed! Hey Adam. Thats awesome, when was this sighting? Been a long time since cheetah were seen! Sighting was 30 and 31 May 2012. It has indeed been a very long time. 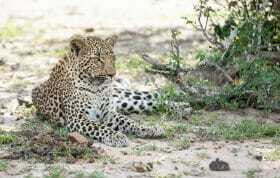 He killed a male impala yesterday and has been hanging around today! I HOPE THE majingilane MALES DON´T SEE HIM, BECAUSE THEY WOULD KILL HIM FOR SURE , IT WOULD BE SAD..BECAUSE THERE ARE NO CHEETAS IN LONDOLOZI .